Readers who have been with me a while will remember “Buddy,” the white-spotted male junco who lived near my workplace for years. Unusually-colored juncos aren’t as rare as, say, the recently-spotted yellow cardinal, but they aren’t common either. 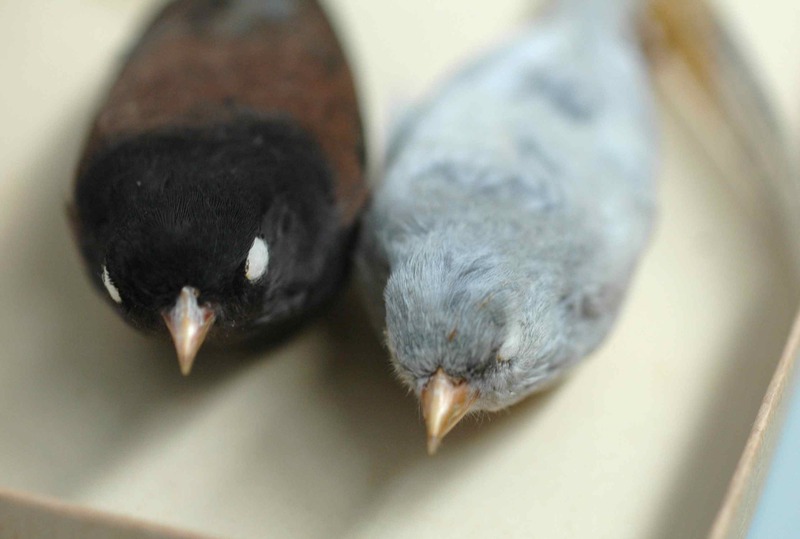 (In my field work in the Sierras we banded ~500 juncos, and only one had a color abnormality.) As a lover of both rare birds and juncos, I get pretty excited about them when I find them. Juncos nest on the ground (usually; sometimes they will nest higher, even reusing old robins’ nests, but I’ve never seen this myself. It’s probably because I’m short). 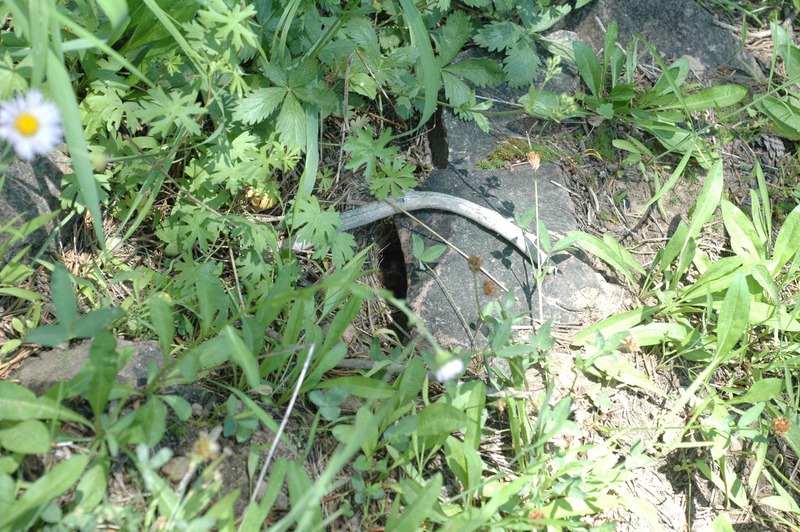 This makes their nests tricky to find, since in the first place, there is a lot of “the ground” to search, and in the second place, you have to be really careful where you step while you search. 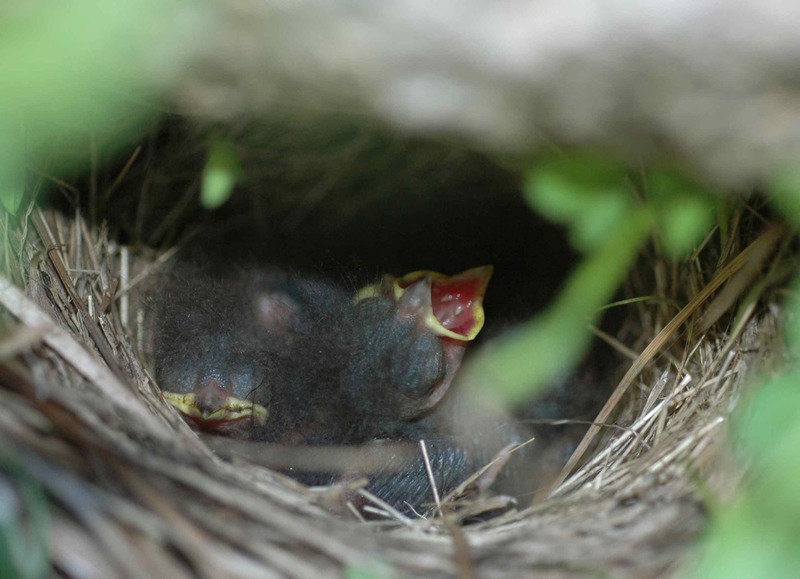 They don’t just nest on the ground, though: they often hide their nests underneath things. Some of them are quite good at it. YABI’s nest. What do you mean, you can’t see it – it’s right there! Last year, I started the field season as soon as the university spring semester ended, because my field assistants were undergraduates and needed to take their finals before heading off into the mountains. That turned out to be too late, as we found that some of the juncos had started breeding without us. So this year I found some awesome non-undergraduate volunteers and went out earlier. But I might have started a little too early. My tent, our first morning in the field. We’d known it was going to rain, and I thought it had – a particularly light-sounding rain pattering on my tent throughout the night. 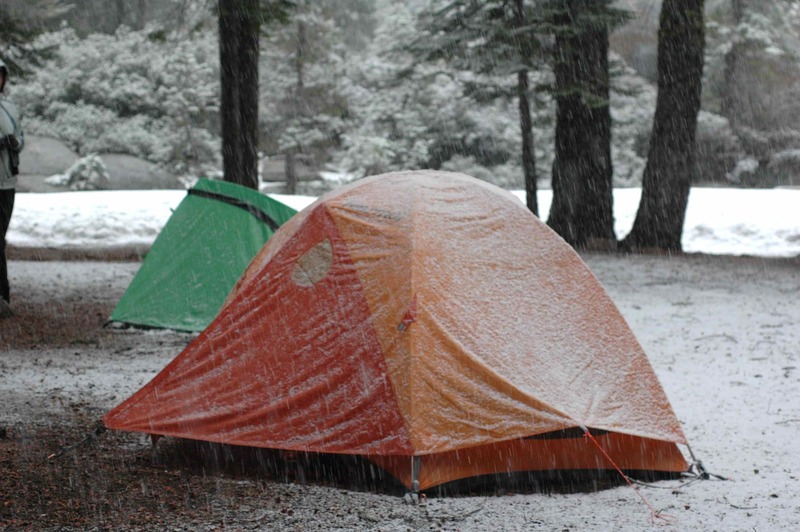 When I woke up I thought my tent had been covered in seeds washed loose by the rain. Then I stuck my head outside. 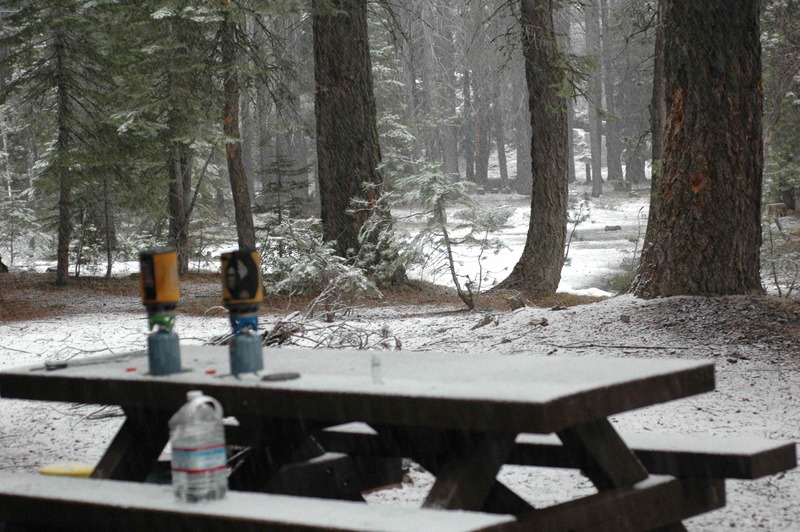 In fact it was better than rain: drier, and still permitting us to boil water for breakfast. Our stoves boiling water for breakfast. 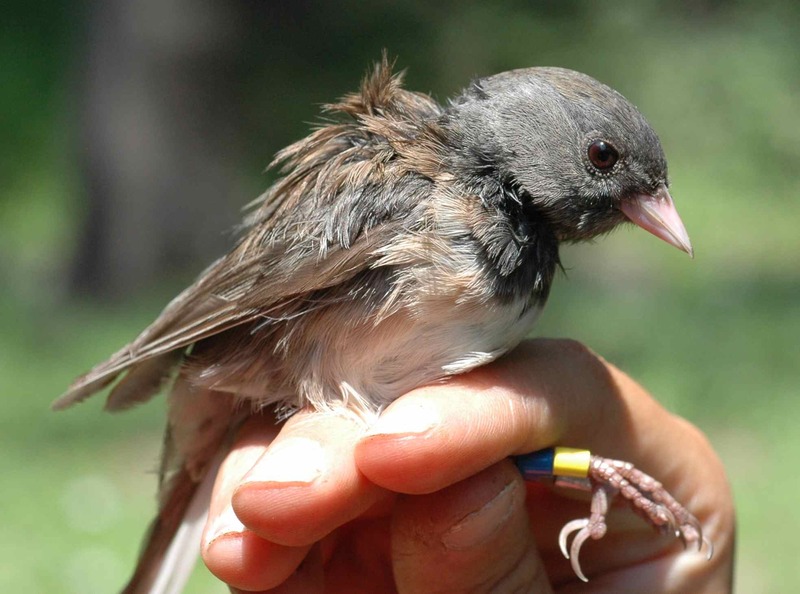 On July 1, 2013, we caught a female junco who we banded MABY. An already-banded male, ARKM, seemed very upset about this. Sometimes juncos do hang around when we band their mates—it’s rather sweet to see them reunite when the banded birds are released—but ARKM’s behavior seemed different to me, so after we released MABY, I lurked behind a tree and watched. Sure enough, ARKM went down to the ground: he had a nest. 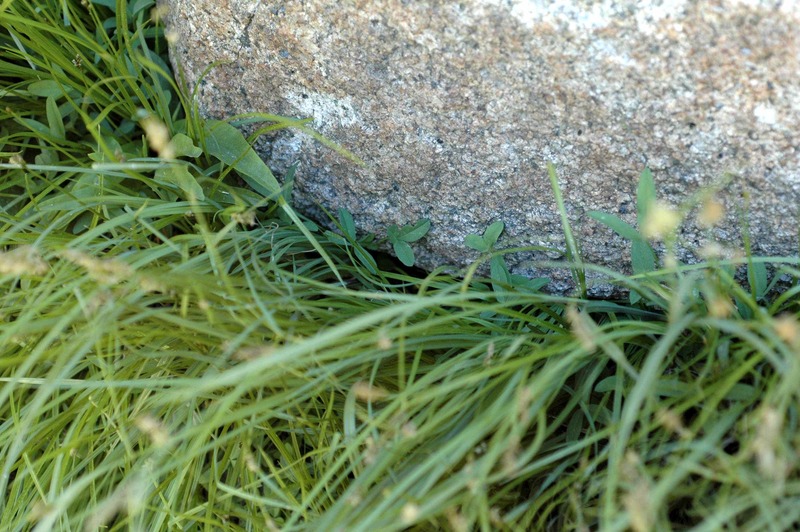 ARKM and MABY’s nest, just under the rock. I’ve started planning the upcoming field season in a serious way now—deciding on dates, interviewing potential field assistants. 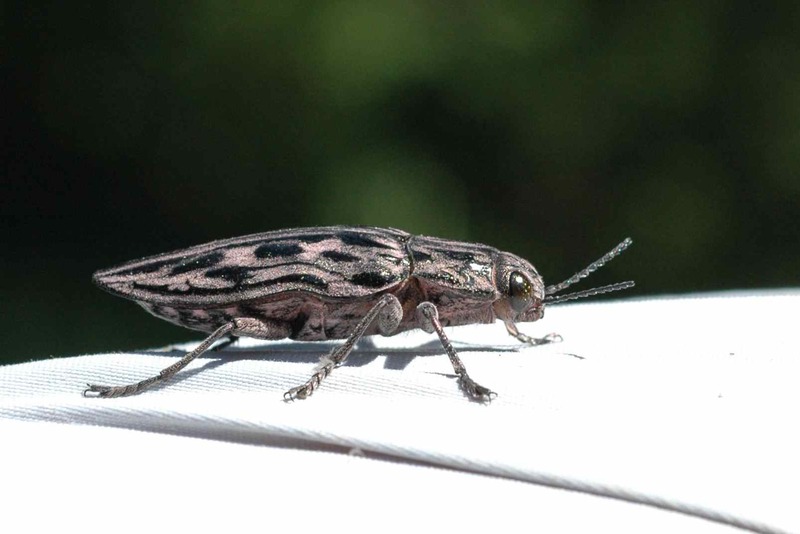 It’s made me think a lot about last field season, and about how much I haven’t yet found an opportunity to mention in this blog. So this post is just going to be a selection of memorable things that happened last field season, without any real theme but with lots of photos. The most beautiful insect I’ve ever seen in person. It looked like a piece of enameled jewelry. 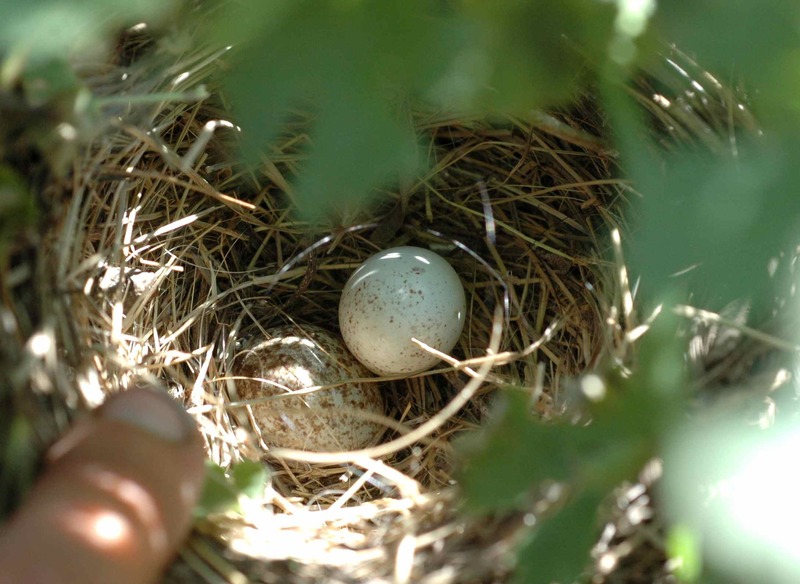 This nest had two chicks in it; when we took them out to band them, we found two unhatched eggs. The lighter one is a junco egg; the dark one is a cowbird egg. These juncos were lucky that the cowbird egg didn’t hatch! Isn’t he beautiful? He was caught in the hills in Marin County, not all that far from me, and kept in captivity until he died in 1931. You might think he’s purely colorless at first glance, but he isn’t. He’s more blue-silver than white, an incredible color to come shining out of a drawer of junco specimens when you’ve just spent the last few weeks measuring the same brown-and-black birds over and over. When you look close you find that hidden in those pale feathers are the whispers of normal junco coloration.